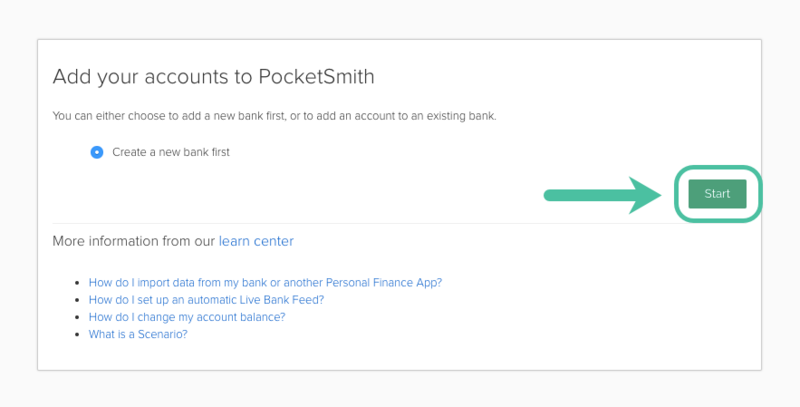 When creating a new PocketSmith account, your Checklist asks you to either Connect bank feed accounts, Move from another app or Upload your bank files. 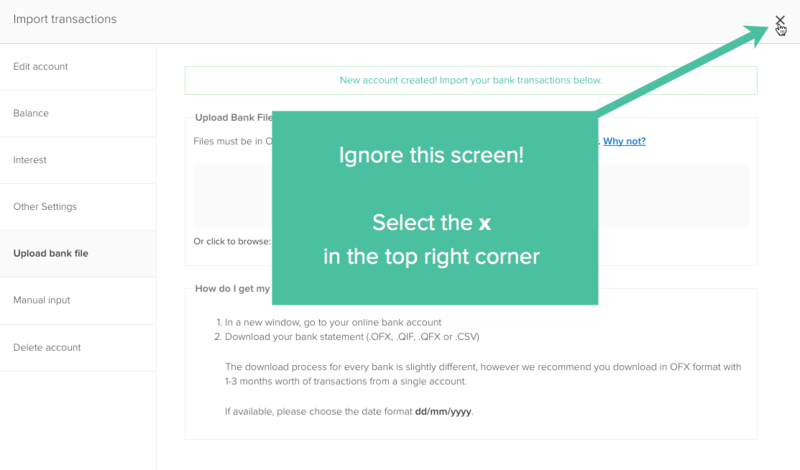 However, if you'd prefer to create an account where you either manually add your transactions, or, create an account that doesn't have transactions at all, use the steps below. If you have access to the Transactions page in your menu bar begin at step three. 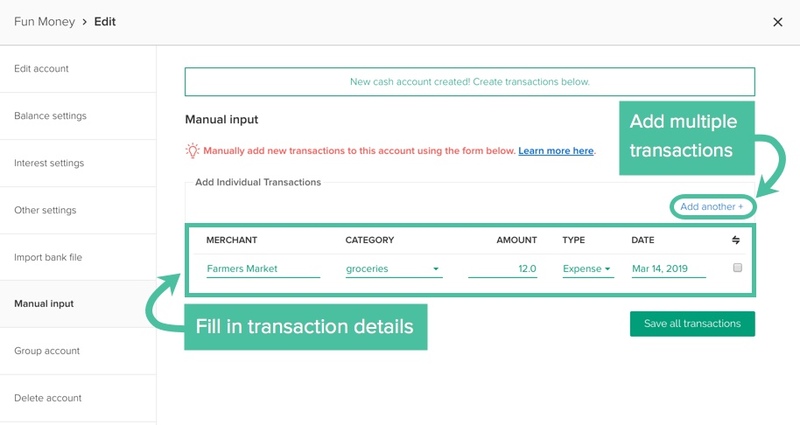 If you've successfully created an empty account from the Checklist, it's likely you may not have access to the Transactions page in your menu bar yet. Follow the steps below to add transactions. Begin manually entering your transactions. You can add one at a time, or add multiple transactions by clicking Add another. The forecast calendar is a quick way to calculate future finances if you already have a good handle on your earning and spending habits. Easily add income and expense budgets on the calendar for set periods and see future outcomes of your set budgets by checking the account balance displayed on any single day in the future.